I have more shoes than anyone will ever know. Thus, when is:Shoe offers to solve our shoe issue, we gladly welcome the challenge. That is until we saw what was delivered. Ok... can someone tell me how does 2 flat plastics sheets and the other plastic trays can solve the problem? After 20 seconds of figuring out , the items magically transform into a show box. Cool huh? Well , in reality, it probably take just as long to assemble the box. The box is easily assembled and of reasonable quality. The edges might not align fully but it serve its functions. Tata.. our mess was cleared in a jiffy. The Elenor Premium Plastic Shoe has a distinctively thicker Elanor plastic. Don't mistaken for the cheaper option available. The shoe box offers a drop front cover. Each measures 23.5(W) 34(L) 13.5(H)cm. Colours available include white, sky grey and pink! Access to the shoes was pretty easy with a little nudge. There are holes in front to assist, as well as providing ventilation to the shoes. Stacking can be flimsy and you probably need double sided tissue tape to secure them. However , at $8 per box, it is a steal. The Ador drop front shoes box comes with a drop front access. It can easily stack up to 16 boxes or more. Compared to the Elenor shoe box, the stacking structure and the drop box are much steadier. If you are displaying shoes in the living room, this version will be more ideal given its style and construction. Each box comes per-assembled. We love the clear door display. This will be great as a display for your favourite shoes! Each box cost $18 . But 6 or more at $16. If you have space is the house, you might even consider a shoe wall as shown before. At 16 x10 box combinations, you would need 160 boxes. At $2560 net price, it would be cheaper than to make a customised shoe rack. Moreover, all your shoe collections can be beautifully displayed. The Missus would be happy that I have that idea in the head. Perhaps the next renovation? Having shoe storage is one way to solve part of the shoe issues in the house. Maintaining the shoes in tip top conditions is also a challenge for us. This is once white school shoes. No matter how we wash it, the sole remain stubbornly off white. With the Japan Jewel Shoe Eraser, these marks will come off and leave your shoes with again! Get these miracle white shoe cleaners at $16 each. 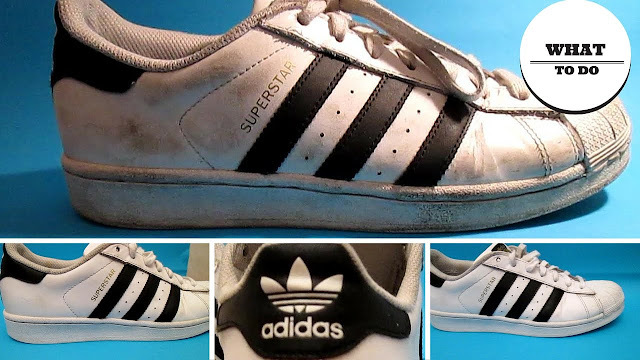 It you have a pair of designers sneakers in white, you need not fear to wear it to prevent stains anymore. It is time to bring those pairs out of the shoe box and enjoy them! Other than dirty shoes, sometimes you do get smelly shoes as well. For shoes that are worn without socks, the moisture builds up and could cause odor. The solution is the simple active carbon deodorizer that remove moisture, anti-fungal, remove odours and environmentally friendly. At only $4.90 per deodorizer, it is a cheap price to pay to have an stink free room. When we first saw the name of the product, Ironman was the first thing that comes into mind. After all, repulsors are the main weapons used by Iron Man. The technology in this can is actually just as impressive. This 250ml hydrophobic spray repels liquid , waterproofing your favourite shoes! It can be use on suede, nubuck, canvas, cotton , nylon and leather. It last for about 2 to 3 weeks so it would be perfect if you are only wearing one pair of shoes for that holidays. A tree that grows in shoe? Actually, shoe tree is a device shape in the size of the foot inside the shoe to preserve its shape. It is a more classy alternative to newspapers you stuff to keep the shape of the shoes. Shoes trees are known as such as it was made of made in the past. However, wood can be chunky, if you want an alternative, the Ecoblack Plastic Shoe Tree is a good option. It is especially good for traveling due to its construction. Price from $4.2 per pair, it is available in 2 sizes for men and women (or kids). The sizes are fully adjustable from EUR 34 to EUR 45 If you want the atas version, isShoe also sell the Atlas Cedar wood version that helps prevent fungal growth due to the moisture -absorption from the cedar wood. For the finishing touch, the Bellissimo shoe brush is perfect for showing some love to leather's shoe. The 100% Horse Hair brush gives the shoe a decent clean for the start of a new day's of work. For a wholesome shoe care journey, isShoes will provide you with solutions to your shoes's issues. As a bonus for our readers, isShoes has provided a discount off for all shoe care and shoe storage products. Grab your solutions to shoe issues here! TWD were provided a selection of is:SHOE products for the review. All prices and size are correct as of Aug 1 2017.